Indbaaz Tours and Travels Leading Tour Operator in India. Indbaaz Tours and Travels Leading Tour Operator in India are offering you an amazing service in the respective field of travel. They will provide you an opportunity to explore fun, beautiful sights and make tension free tour anywhere in India. Our tour operators working in the field from long time and still offering an enthusiasm to discover about India, to investigate deeper about this fabulous country.India Travel Agents are providing your several Tour Packages in India , including, Packages Tours, North India Tour, Golden Triangle Tour, and South India Tour and may others.Mission of Indbaaz Tours and Travel is to present Travel in India in a way, never seen before and provide Quality and Excellence to our customers promptly and exclusively.We do not wait for the perfect moment and time; rather we create perfect time and moment to be remembered. India have numerous highlight with fascinating aspects of ethnically and culturally land.Indbaaz Tours and Travels create Tour Package India and Indian itineraries for tourist and offer customized Indian vacation with various trips covering different Geographical parts of India Himalayas with North India Tour Package, Beach Holidays on Western Ghat and Eastern Ghat of India with adventures Wildlife Destinations, white River rafting and to enjoy colorful festival days so that enjoying cuisine of authentic food with flavor. We at Indbaaz Leading Tour Operator in India believe in presenting India in a way that is unique unexplored and unhindered. 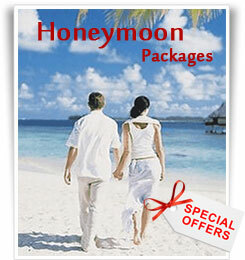 Tour Packages To India where possibilities are immense and unending. Service tour valuable travelers and clients has become our habit.Tourism in India to made interested and exciting that’s why we research places and events that makes tour fulfilling than ever before.